Welcome to the cough-cold season in New England. No other time of year boosts the sale of cold remedies and humidifiers more than this one. Most of the expenditures are not worth it in the final analysis. Coughs are most commonly due to the dry air in our homes. Simply leaving a window open in the sleeping area will humidify a room more cheaply and effectively than any humidifier. Most cough remedies have drying agents in them and actually make cold symptoms worse. A plain expectorant such as Robitussin Expectorant or quaifenisin syrup has no drying agents and can help with nighttime coughs. Get outdoors and enjoy the winter. Cold weather increases the time that we expose each other to various viruses and flu like illnesses. Studies show that outdoor workers have fewer of these illnesses than those of us who remain in indoors and in close quarters. Over 200 viruses cause “colds” in humans. Symptoms include runny stuffy nose, sore throat, cough with phlegm and/or low-grade fever. Colds make children feel miserable but are not dangerous. Over-the-counter cough and cold preparations are generally not effective, especially for the 6 month to 5-year-old age groups, but many parents like to try them. Extra fluids, elevated head of the bed, salt-water nose drops, and humidified air can sometimes help alleviate symptoms. Nasal mucus normally changes from clear to cloudy to green or yellow by day 3 or 4 of a cold. Patients who are living with family members who have medical history listed above. Burns are more common in winter. Heaters, radiators and wood stoves now become a hazard and we serve more hot soups and drinks in the winter. If a child should get burned by a hot liquid remove the clothing immediately as it will hold the heat against the skin. Put cold water or ice on the burned area as soon as possible. The sooner you cool off the burn area the less deep the burn will become. Call us after instituting these emergency measures for further advice. Additional information on burns click here. Encourage your children to use helmets for skiing, snowboarding and sledding. The ski schools don’t seem to push the use of helmets, but we have seen enough severe head injuries due to winter sports to urge you to use helmets. Spring is the biggest of the allergy and asthma seasons. The best way to avoid severe attacks is to treat early. Be sure to refill your seasonal allergy medications before symptoms are severe. At Centre Pediatrics, we have an Asthma Prevention Program, led by Robin Koskinen, one of our nurse practitioners. To find out more about this program, please call us at (617) 735-8585. Winter sports on snow and ice now continue into the spring depending on the weather. With warming weather, the snow and ice change consistency. Be exceptionally careful of ice skating on outdoor ponds and lakes and be aware that turning on skis in spring snow is more difficult. Many skiing injuries occur on that last run of the season and could be avoided. Sports injuries are more common at this time of year. After a winter of decreased physical activity, we suddenly need to prepare for baseball and soccer. As with adults, children should slowly increase activity to allow muscles to rebuild and adjust to a greater level of activity. Encourage children to play sports “lightly” at first and “harder” as their muscles become more accustomed to the sport. Children outgrow bike helmets and roller blade gear; check that these items still fit and are in good condition. Tune the bike and check that its brakes are working. Make sure roller blades have working wheels and brakes. Health problems that are more common in the summer include food poisoning, bites and contact dermatitis. Picnics and barbecues can be sources of salmonella poisoning secondary to both improper outdoor storage of foods and inadequate cooking. Be sure to properly chill foods and maintain cold packs on items like potato salad both during transport and while out on the picnic table. Do not serve rare beef and make sure chicken is cooked thoroughly. Using an insect repellent and wearing longer clothing can reduce bites from insects and ticks. Infants under a year should not have repellents put directly on the skin due to issues of absorption through the skin or ingestion off the skin. However use of insect sprays on clothing and the outside of the infant carrier is safe. Contact dermatitis is inflammation of the skin due to contact with a foreign substance. The substance might be a plant (poison ivy) or chemical (hot tub and pool sanitizers) or rubber (underwater goggles). The chances of dermatitis are reduced by good fresh water washing at days end to remove these irritants. Lyme Disease is caused by the bite of a deer tick. Daily inspection of your child for ticks is the best way to avoid Lyme disease. Transmission of Lyme disease takes 48 to 72 hours so early detection and removal of the tick is important. Skin safety in the summer is very important. The association of skin cancer with excessive sun exposure and sunburns is well established. Sunscreens (30 SPF or higher) are recommended. Until recently, sunscreen was not recommended for children under 6 months. But the American Academy of Pediatrics now approves of its use on infants in limited amounts. We believe that the first line of defense against sunburns in young babies is protection by shade or by clothing; use brimmed or wide-rimmed hats, lightweight long-sleeved shirts and pants for protection from the sun. If sun is unavoidable, use sunscreen in limited amounts. 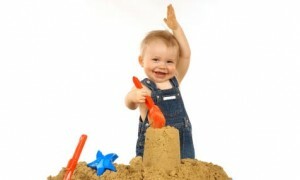 For children over 6 months, it is wise to apply sunscreen about 30 minutes before exposure to the sun. Then reapply the sunscreen every three or four hours and after swimming. Protection by hats and lightweight clothing is also a good idea. Dehydration is a greater factor in summer due to increased fluid loss in hot weather. Be sure to encourage water or juice intake especially when children are outdoors playing and spending time at picnics and beach parties. Also be prepared for a breakdown on the highway by leaving some juice or water in the trunk of the car for emergencies. Road service can take a few hours and children’s fluid reserves are limited. From age 3 through 18 years, we recommend that your child have an annual physical exam, also called a well visit or check-up. Schools and summer camps usually require a report of your child’s most recent physical exam and immunization status. The physical exam should have been done within the last 12 months. You can request this report, or health form, at the time of your child’s check-up. We urge you to make several copies of this report for your use during the year. 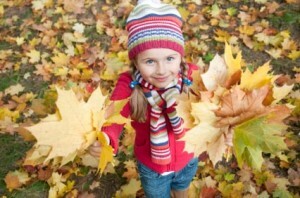 Fall is a common time of year for seasonal allergies. Plants, trees and weeds are coming to the end of their cycles and allergens are in the air. Another contributing factor is that heating systems begin to turn on and cause house dusts to begin to circulate. Plan ahead and call us to renew your allergy and asthma medicines before symptoms become severe. Flu vaccine is another preventive measure to consider. If your child has a history of asthma, respiratory disease, chronic heart disease or other chronic illness, he/she may benefit from the flu vaccine. We run a flu vaccine clinic at Centre Pediatric Associates. Carbon monoxide poisoning is more common in the fall and winter as we seal our windows. Be sure to have your heating systems checked for proper venting of this noxious gas. It is reasonable to let your home “air out” by leaving windows a bit open to allow noxious gases to dissipate. 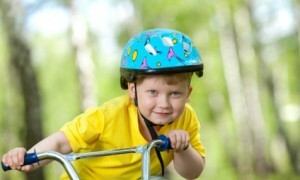 The use of helmets for biking and other sports is critical to preventing serious injury. Encourage your children to wear them.